Monster Mini Golf is a glow-in-the-dark mini golf/arcade place with air hockey. Although it's dark, it's not too dark for comfort. I don't see someone spending much more than 1.5 hours there. You can eat in nearby Teaneck. This can be used for Staten Island. 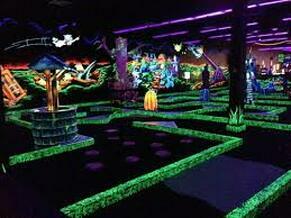 Monster Mini Golf is a glow-in-the-dark mini golf/ arcade place. I went to two separate locations. Both of them were practically empty (you can probably call them to find out when it's usually quiet). There may be somewhat loud music playing (not too loud). Although it's dark, it's not too dark for comfort. It's located in Edison, and its 15-30 min. from Staten Island (there is a toll both ways). 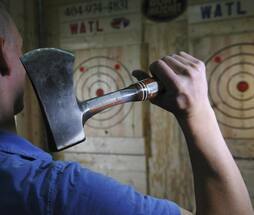 (There are numerous branches located throughout the country.) I don't see someone spending much more than 1.5 hours there. There are few places to eat in/near Edison if you finish early. They're open weekdays from 2-10, Sunday from 12-10, and Motzei Shabbos until 12. Monster Mini Golf is a glow-in-the-dark mini golf/arcade place with air hockey. Although it's dark, it's not too dark for comfort. I don't see someone spending much more than 1.5 hours there. 15-20 minutes from West Orange, 20-25 from Passaic , 25-30 from Teaneck. 10-15 minutes from Deal, 25-30 from Lakewood. ​Arcades, rides, pool tables, and bar. A great option for the Lakewood girl. It is a recreation of an indoor beach and gives you the feel of the boardwalk. It does have loud music, but still enjoyable. ​*Groupon is valid only at the Paramus location. ​*Groupon is valid only at the Bloomfield location. ​*Groupon is valid only at the Matawan / Old Bridge location. The Bogota Golf Center is about 5-10 minutes away from both Passaic and Teaneck. 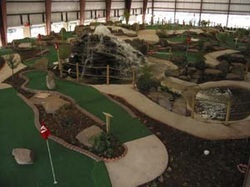 The place offers a very large indoor mini golf course, which is heated in the winter. It also has a small game room, a few couches if you want to sit, a driving range, and one or two pool tables. The prices are very reasonable and the setting is relaxed. 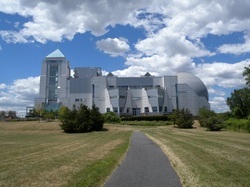 It is also very conviently located next to many hotels and all the restaraunts in Teaneck. This would make it ideal as well for those dating from the Monsey area. The Color Me Mine in Ridgewood has a nice selection of things to paint and they are reasonably priced as well. Also the workers there are very helpful and will answer all your questions. I know your looking at this list of "Fun Things" and you are wondering what on Earth is Ikea doing here? So I'll tell you: when I first started dating I got bored of doing lounges; for the first date I still went to lounges but for the second date I needed a change. So I asked around yeshiva and someone suggested Ikea to me, saying he went there a number of times on dates. To me it sounded a little strange but I'm always open to new ideas so I tried it out and I used Ikea many times since then. Ikea is set up like a trail with arrows along the floor guiding you from section to section. It is a series of completely set up "rooms" like living rooms and dining rooms with couches you can sit on (if it is that type of room, in a dining room there are no couches of course). Depending on your type it can take between 45 minutes to a little more then 1 hour to got through an Ikea store. Afterwards depending on the location (and the time you get there because they close at 9) you can either sit in their cafeteria section or go to a lounge somewhere else. This is also a good spot to go from the Monsey Area.